Apple is rumored to offer its next-generation iPhone in a new rose gold color option, which has led to forgeries in the Far East attempting to imagine what the color might look like on a so-called "iPhone 6s." 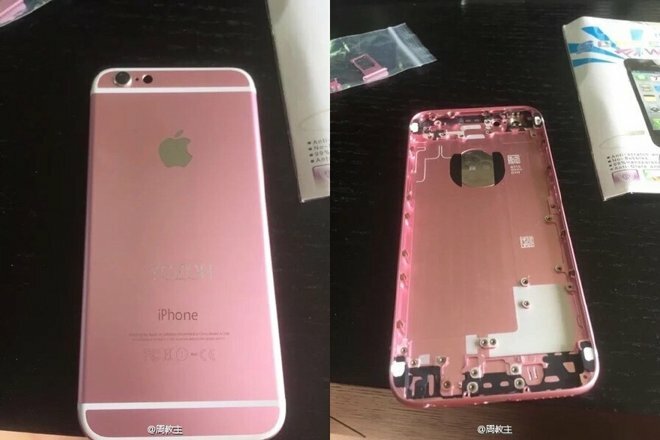 In a post to Chinese microblogging site Sina Weibo, discovered on Friday by AppleInsider, a user shared the above pictures of an iPhone rear shell that has been painted a rose gold hue. 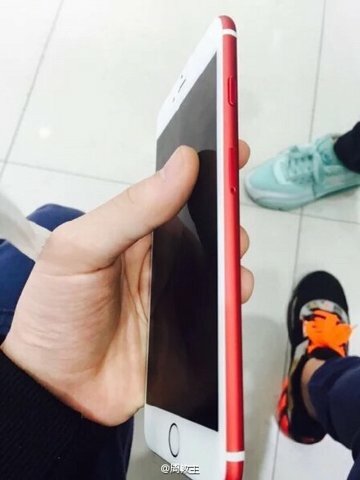 While the part has been presented as a possible "iPhone 6s" component, the design of the shell is identical to the current-generation iPhone 6, meaning the image is faked. While the "iPhone 6s" series is expected to feature a largely identical design to the current iPhone 6 and iPhone 6 Plus, new parts leaks out of the Far East have shown tweaked internal layouts for presumably upgraded components, as Apple has historically done with its "s" handset models. The new leaks come not coincidentally as rumors out of the supply chain have suggested production of the next-generation iPhones has begun. Rumors have suggested that Apple plans to make the 'iPhone 6s' available in rose gold, joining the current lineup of white, space gray, and a more traditional shade of gold. Well-connected analyst Ming-Chi Kuo of KGI Securities was first to report in May that Apple plans to add a new rose gold color option with this year's new models. And so while the above image is simply a painted iPhone 6 component, it does offer an idea of what a new rose gold "iPhone 6s" might look like. Kuo also indicated that the next iPhone will feature 2 gigabytes of RAM, as well as a higher quality 12-megapixel camera. The new iPhones are also expected to support Force Touch input, currently found on the Apple Watch and latest MacBooks. 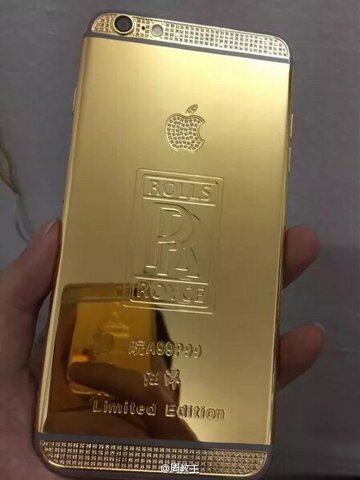 When he revealed Apple's plans for a rose gold "iPhone 6s," Kuo did not indicate whether the device would be made of actual gold like the high-end Apple Watch, or if it will simply resemble the color found on the Apple Watch Edition. Fake iPhone colors and customizations like the one above are, of course, nothing new, especially in China. Below are a few other iPhone modifications spotted on Sina Weibo by AppleInsider.